Recent history tells us that at some point, smartphone OEMs will jump in with a new color variant, months after releasing a given phone. It has happened before and it’s happening now with Samsung Galaxy S8, a phone that has been on the market since April. As if targeting the fall season, Samsung has just confirmed that the Galaxy S8 is getting a new color variant dubbed Burgundy Red. Despite all the attention that the Coral Blue color variant had gained in the recent years, the new color variant is easily Samsung’s best ever color to date. You’ll notice a powerful red hue on the buttons, frame and back of the Burgundy Red Samsung Galaxy S8, which generally gives the phone a one-of-a-kind look. Up to date, most will agree with us that the Solar Red color variant of the HTC U11 is one of the most striking smartphones ever made and even though the Burgundy Red Galaxy S8 is different, the phone looks great – and most of you will agree. One little problem, though, is that the new color variant will not be available in the U.S., at least for now. However, we can’t rule out anything at the moment. On the brighter side, those who have been patiently waiting for the Deep Sea Blue color variant of the bigger Samsung Galaxy Note 8 will finally be able to purchase the phone starting next week, November 16th. This variant joins Orchid Gray and Midnight Black, which were the only ones selling in the U.S., but there’s still no room for Maple Gold. 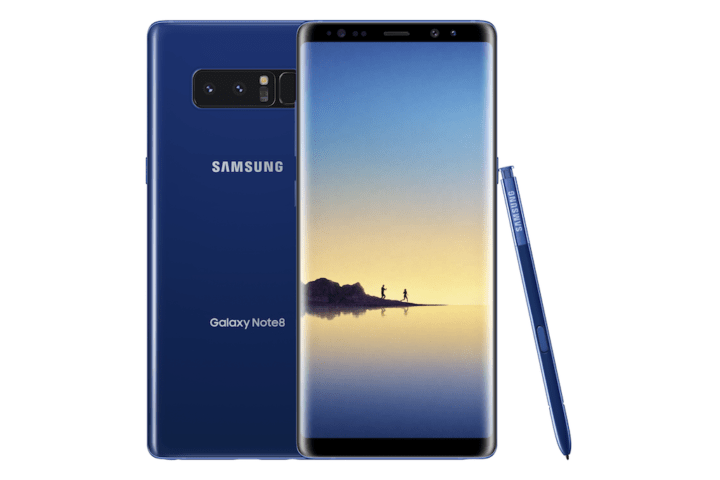 The Deep Sea Blue Galaxy Note 8 will be available for Sprint, Verizon and AT&T customers and will be sold exclusively by Best Buy and online through Samsung’s website. Update: The new Burgundy Red Samsung Galaxy S8 color variant will be unveiled in South Korea on November 28th, but there’s no word on the global availability. For sure, many will be hoping that the phone makes it out of Korea in the near future.